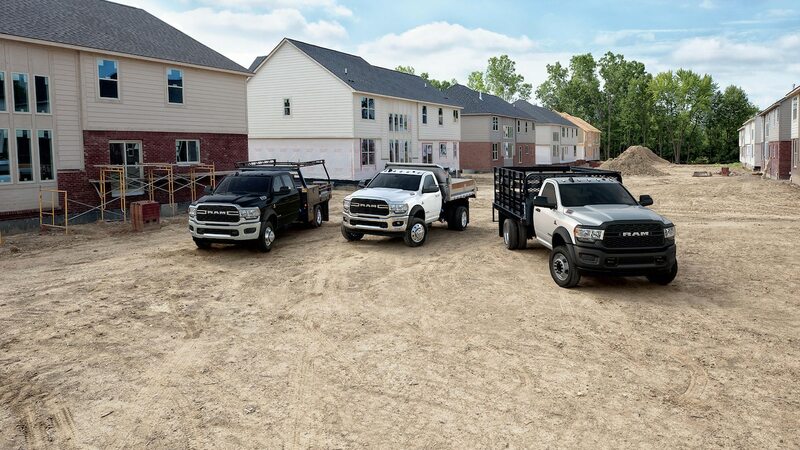 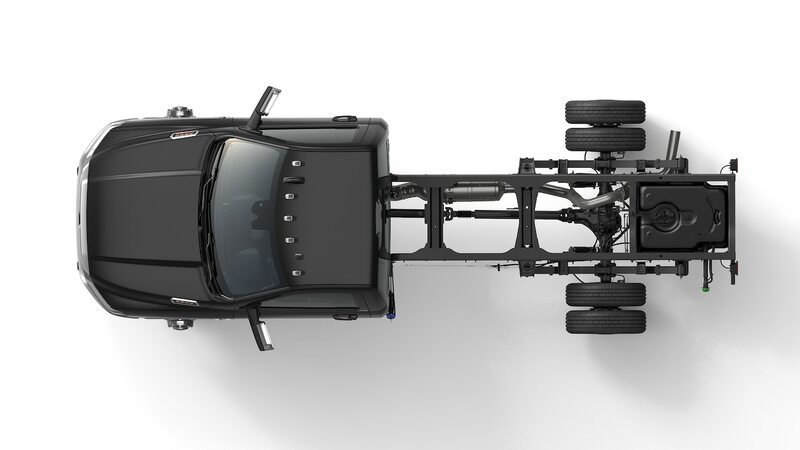 The chassis cabs are available in 3500, 4500, and 5500 models, which represent Class 3, 4, and 5 gross-vehicle weight ratings (GVWR), respectively. 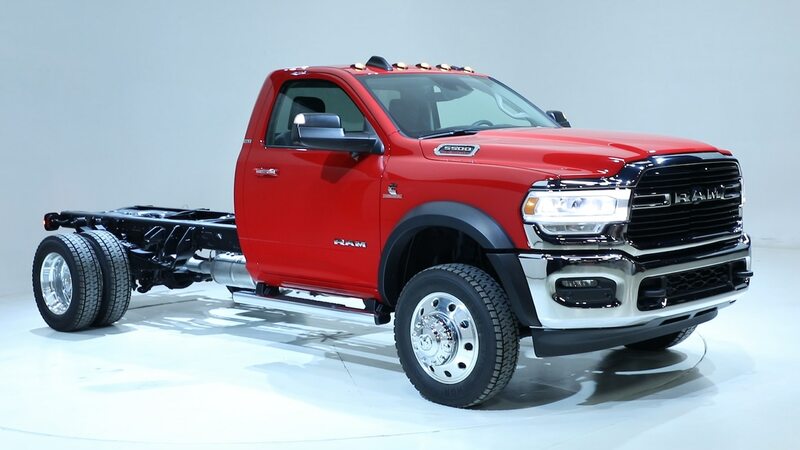 However, there is also a Class 2 version with a 10,000-pound (4,536-kg) GVWR. 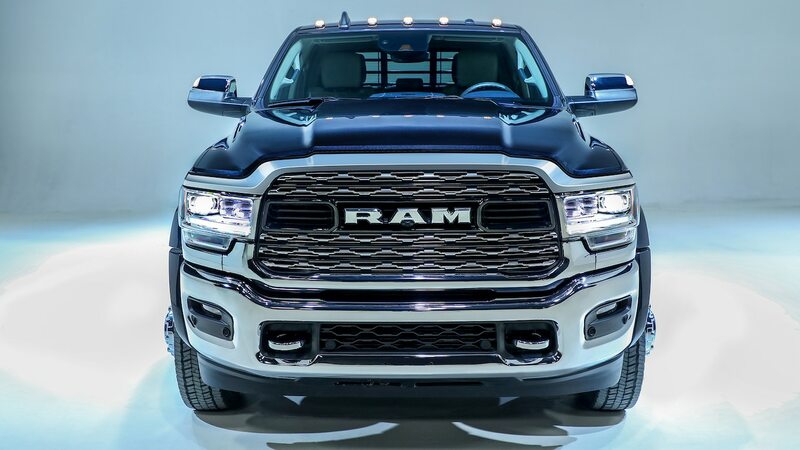 The standard powertrain is a 6.4-liter Hemi V-8 that produces 410 hp and 429 lb-ft of torque in the 3500 model and 370 hp and 429 lb-ft in the 4500 and 5500. 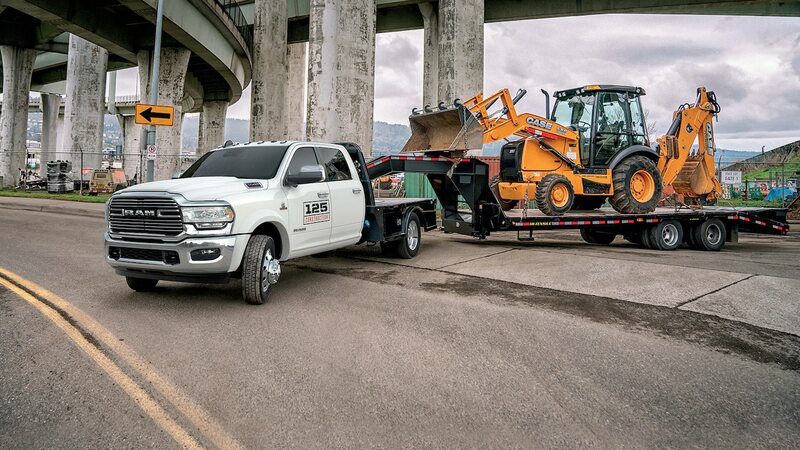 A new eight-speed automatic backs the 3500 model and a six-speed automatic with optional Power Take-Off capability (on the left or right side) is standard on the 4500 and 5500, and optional on the 3500. 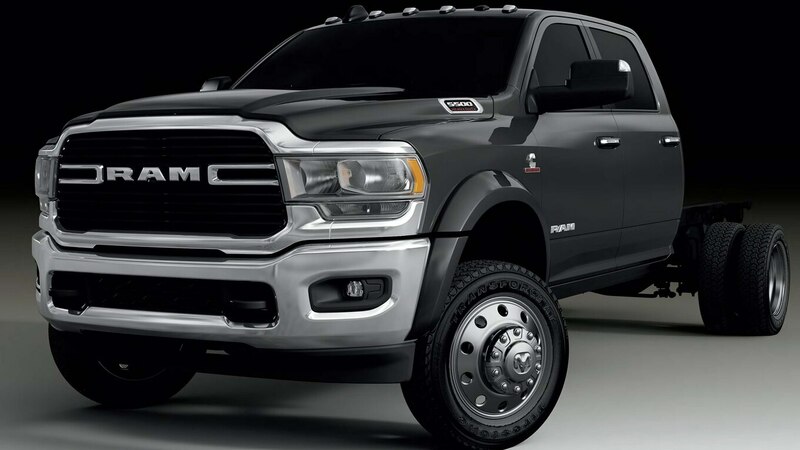 The Hemi features cylinder deactivation and Deceleration Fuel Shut-Off technology for improved fuel economy. 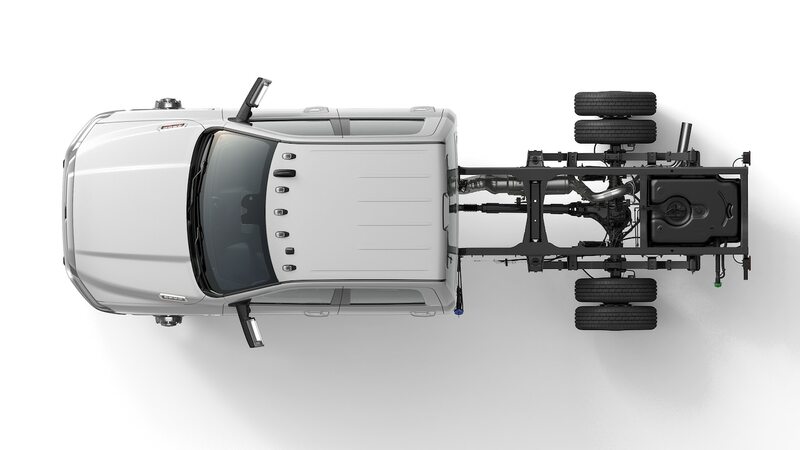 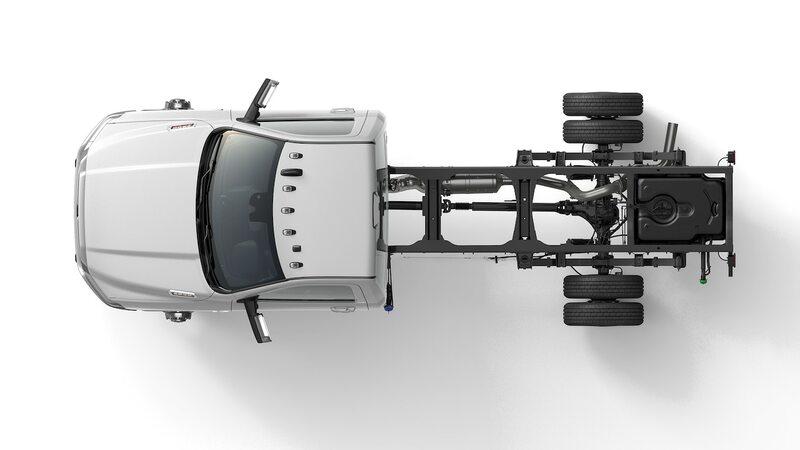 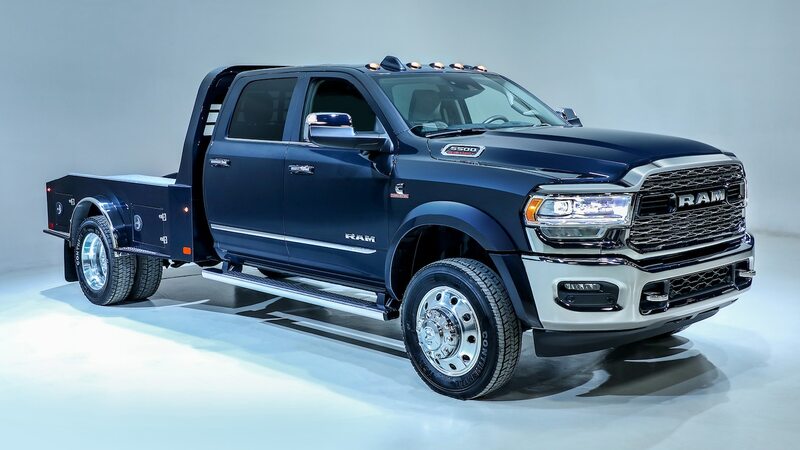 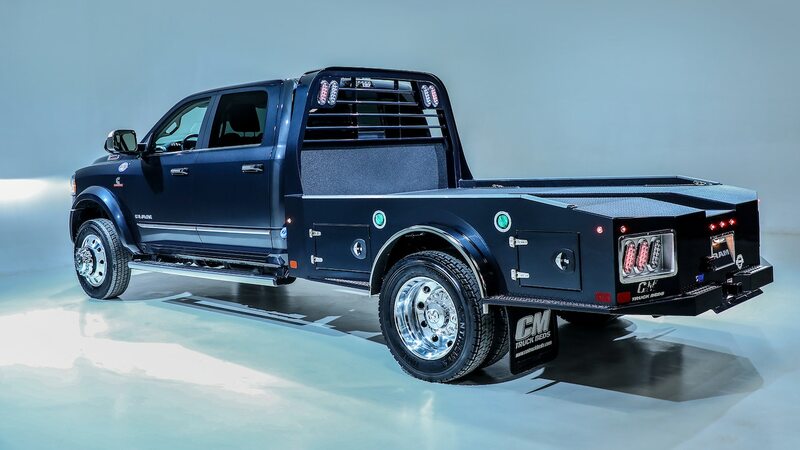 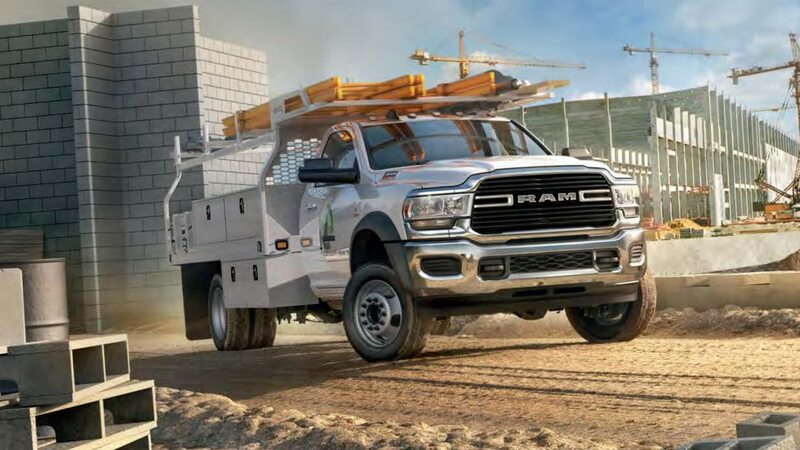 Ram claims the Chassis Cab has a maximum towing capacity of 35,220 pounds (15,975 kg), a max Gross Combined Weight Weighting of 43,000 pounds (19,504 kg), and a payload capacity of up to 12,510 pounds (5,674 kg). 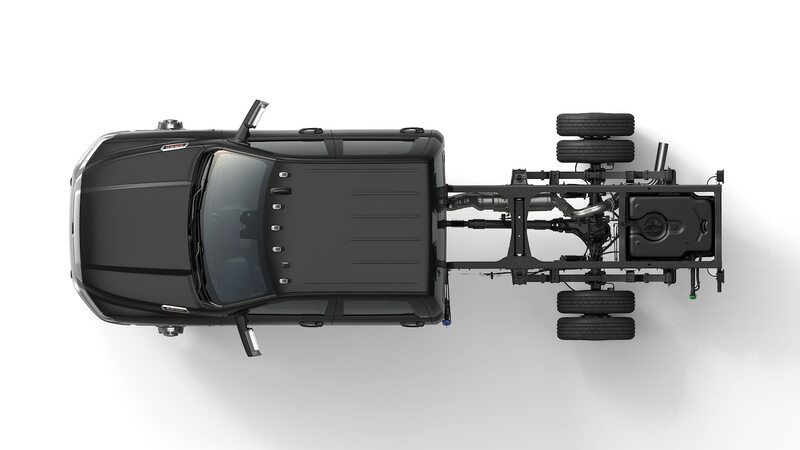 In order to make upfitting easier, the rear section of the frame doesn’t have any components above the rails that would interfere with the installation of a flatbed, cargo box, or whatever else customers want to put back there. 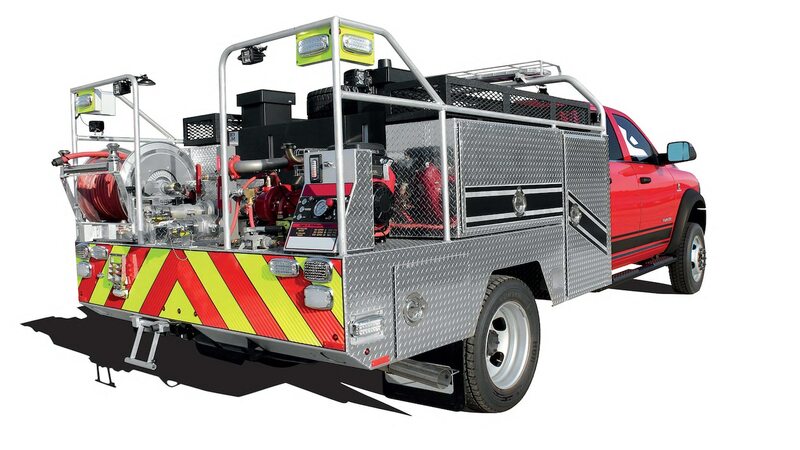 The frame also features a C-channel design with a flat mounting surface and pre-drilled holes throughout for upfit lines and mounting hardware. 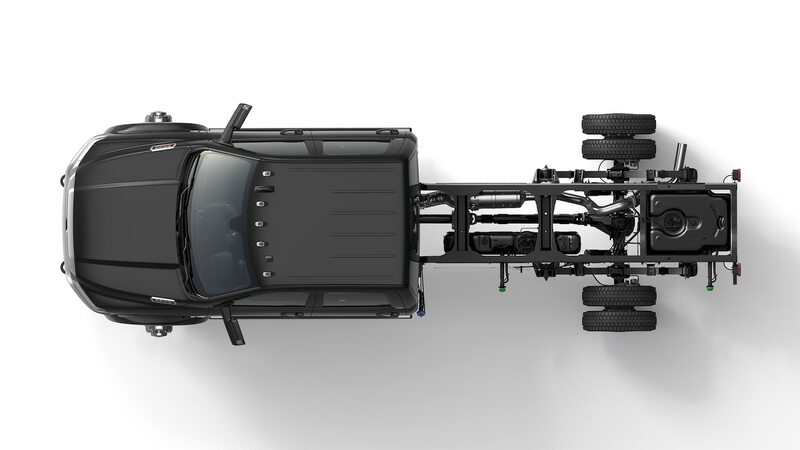 A Vehicle System Interface Module (VSIM), with more than 70 inputs and outputs, can communicate between aftermarket and factory control modules. 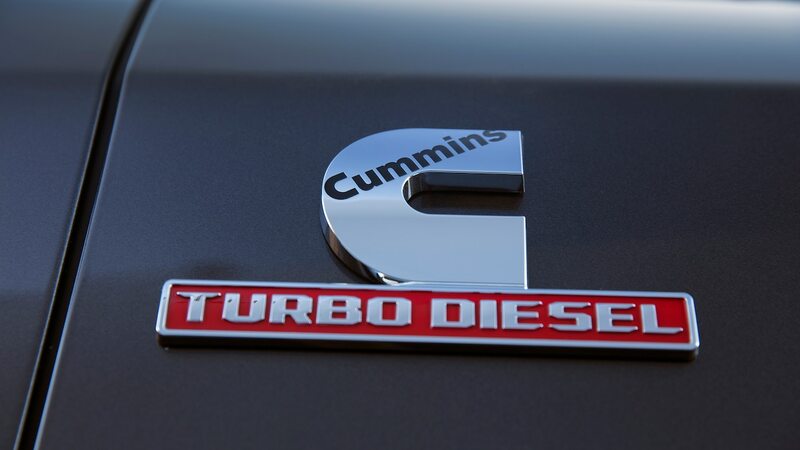 Alternator systems depend on engine choice. 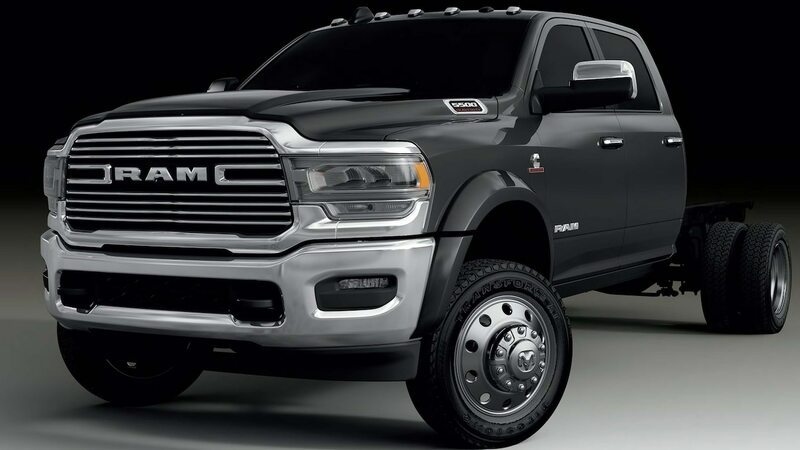 The Cummins turbodiesel uses dual 220-amp alternators that combine for 440 amps while the Hemi’s 220- and 160-amp units total for 380 amps. 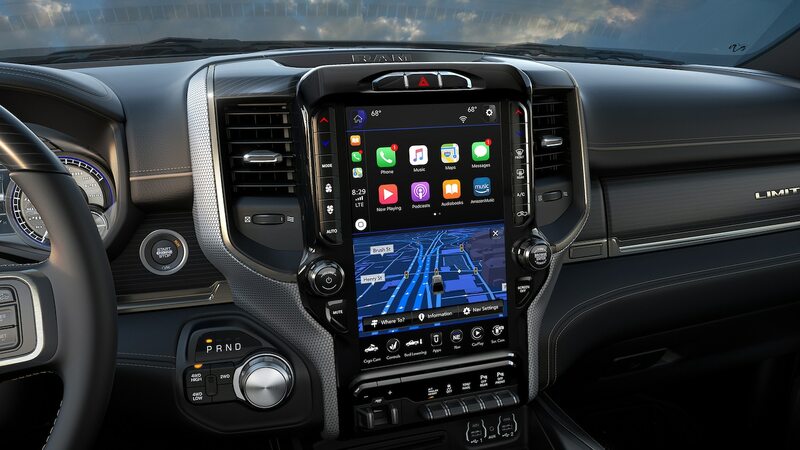 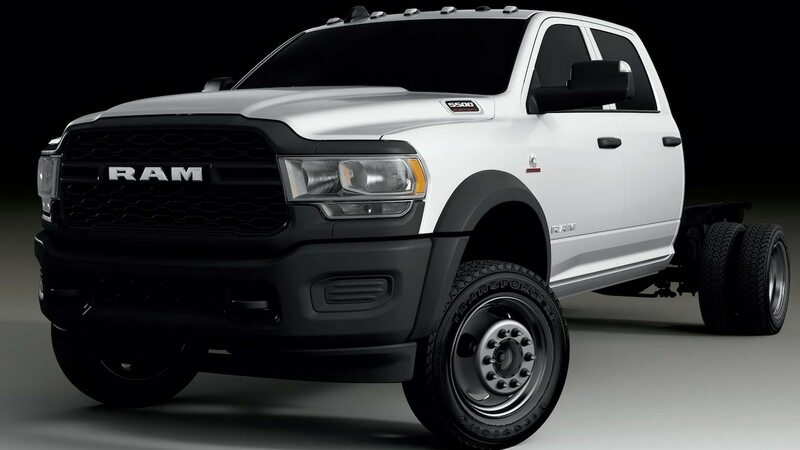 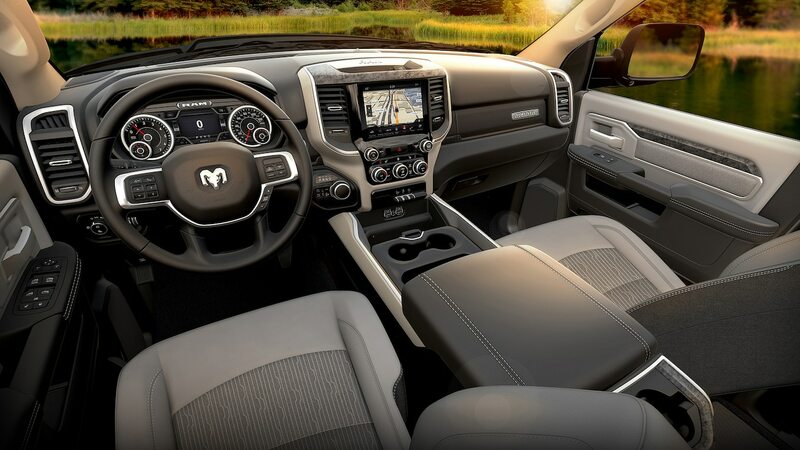 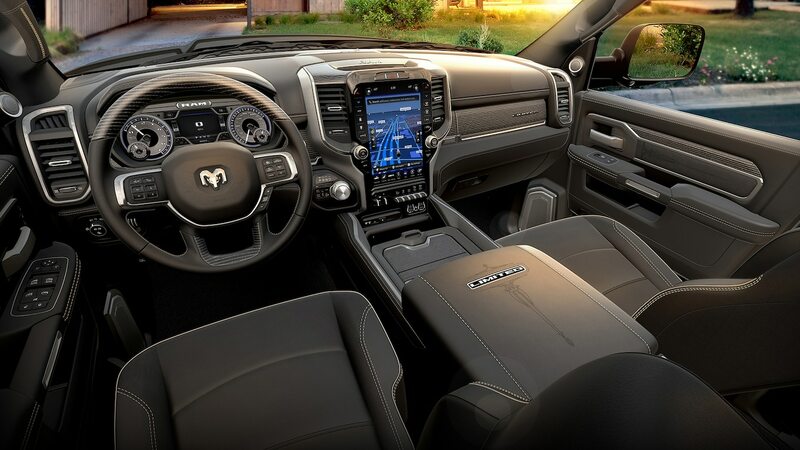 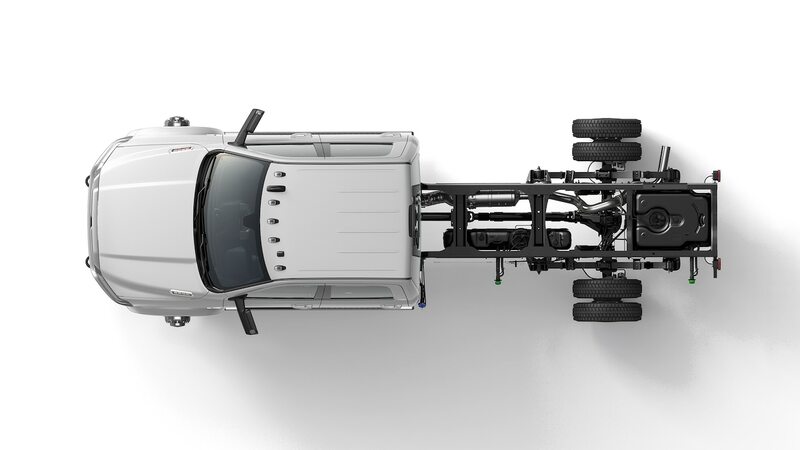 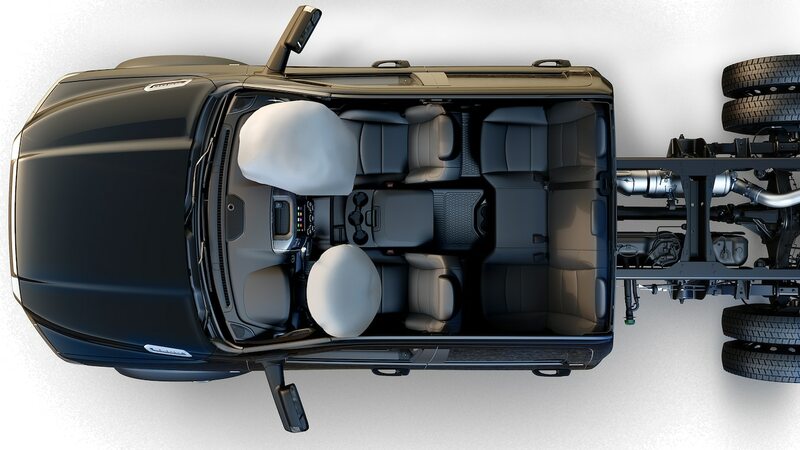 Safety wasn’t overlooked in the 2019 Ram Chassis Cab. 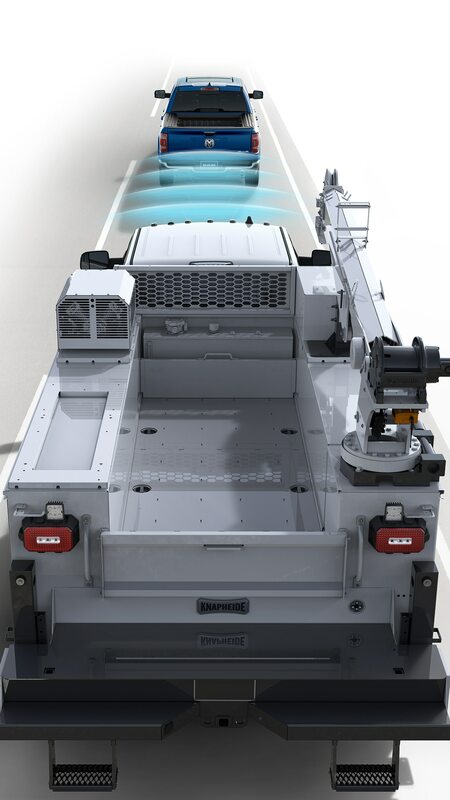 New active driver-assist features are available on all trims and include forward collision warning, automatic emergency braking, automatic emergency braking with trailer brakes, and adaptive cruise control. 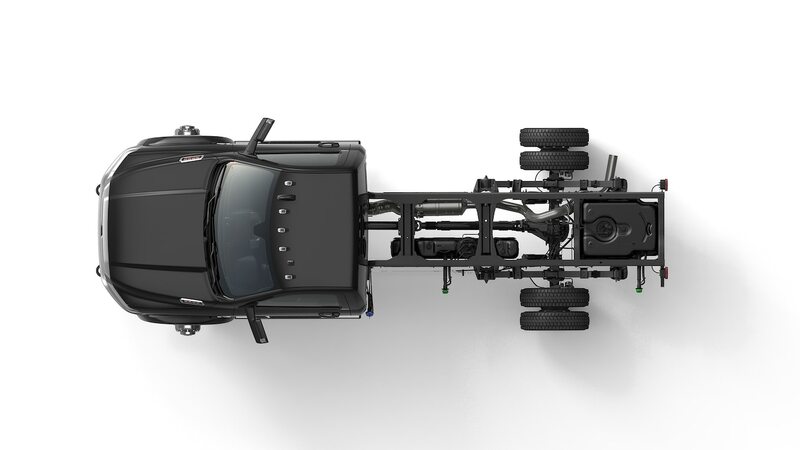 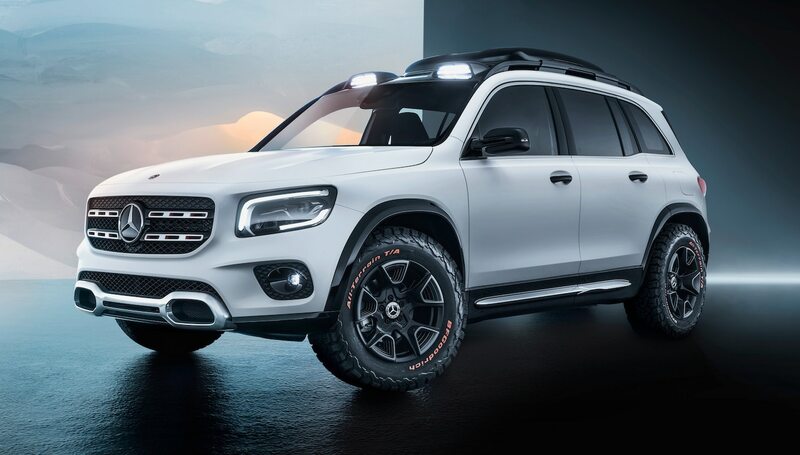 Front and rear parking sensors and a 270-degree camera system with trailer reverse-guidance view are also optional. 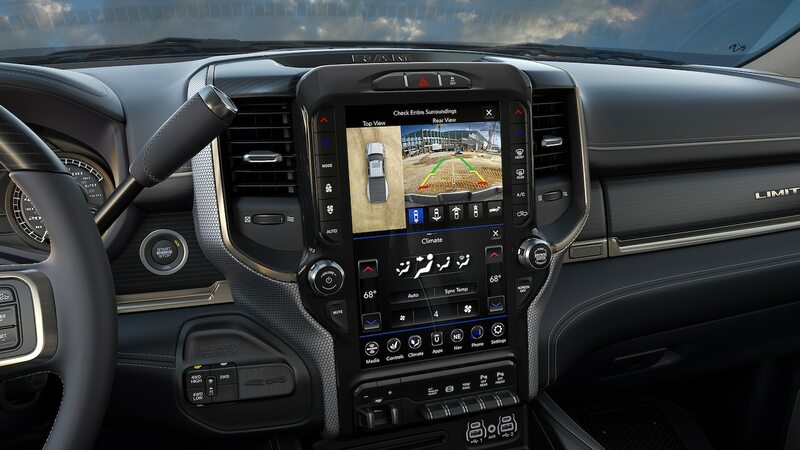 The cargo-view camera lets drivers monitor the upfit or payload and can assist when hooking up fifth-wheel or gooseneck trailers.